If you are taking the pill, you may be wondering about birth control pill side effects. 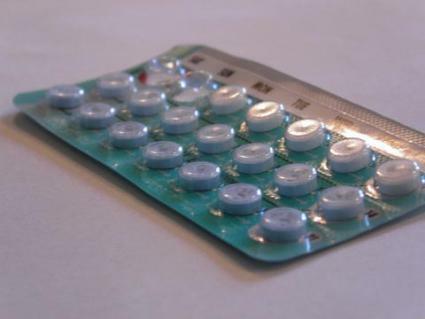 The pill contains a combination of estrogen and progesterone. By regulating the dosage of these hormones, ovulation does not occur. Ovulation is the movement of an egg out of the fallopian tubes in preparation for fertilization. Most forms of the pill also thicken cervical mucus, making it harder for sperm to enter the cervix and reach the fallopian tubes. In addition, some forms of the pill make implantation of the fetus into the uterus less likely. The pill is up to 99.7 percent effective in protecting against pregnancy. However, it does not protect against STDs or HIV. In addition, antibiotics and drugs for epilepsy or tuberculosis can reduce the effectiveness of the birth control pill. There is also some research that suggests St. John's Wort may reduce effectiveness of the pill as well. About 40 percent of women experience some birth control pill side effects during the first three months of use. After the first three months, however, side effects generally seem to stabilize. For the most part, these symptoms are mild to moderate. However, these side effects can be bothersome. Contact your care provider if you have any questions or are truly bothered by these birth control pill side effects. You may simply need a different prescription. If you experience any of the following symptoms, you may be having a serious negative side effect to your pills. Contact your care provider immediately.